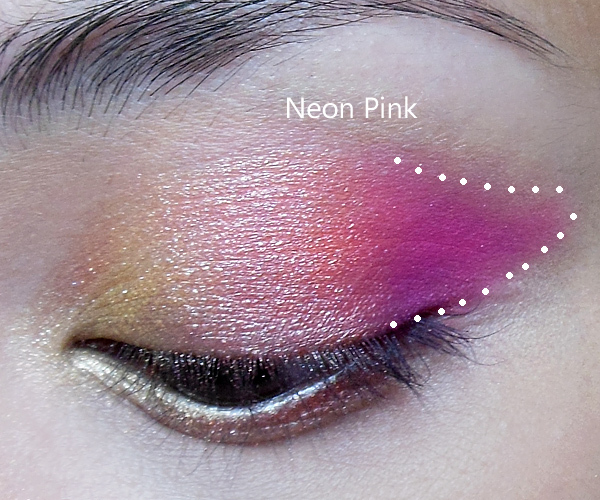 This is an easy gradient winged eye and actually more flattering than you might think neon pink shadow would be. The 3 main shades are yellow, coral, and fuchsia, but the key to the look is that I used 2 shimmers in the 88 Shimmer palette for the yellow and coral, then switched to a matte neon pink (BH Cosmetics WM20) at the outer corners. 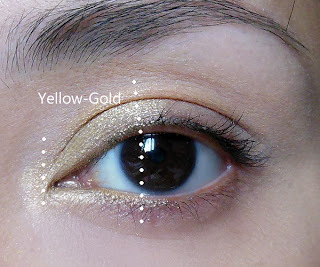 This creates more strength to the look, although you can also use one of the fuchsias in the shimmer palette if you want to save the trouble. 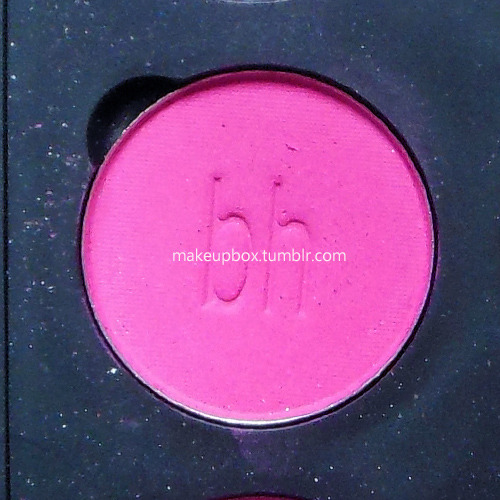 A matte is just more flattering when you're wearing a neon pink on the lids, in my opinion. Step 1: Apply the yellow gold to about the inner half of the lids. 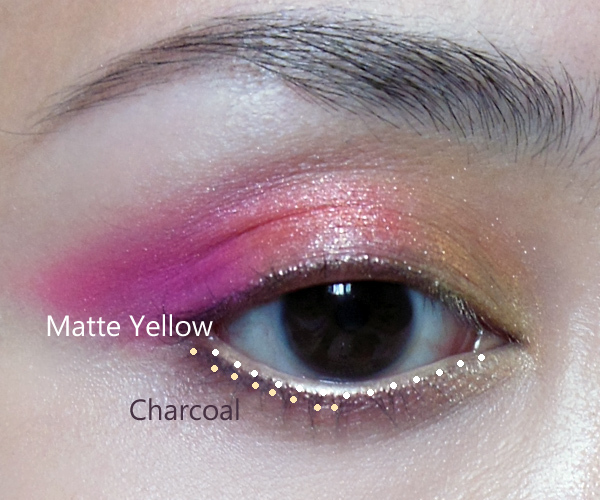 Let it overlap onto the lower lash line as well. 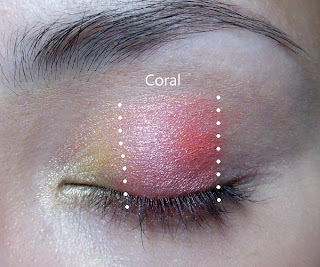 Step 2: Overlapping the yellow a bit, apply the bright coral-orange shade to the central 1/3 of the eye. 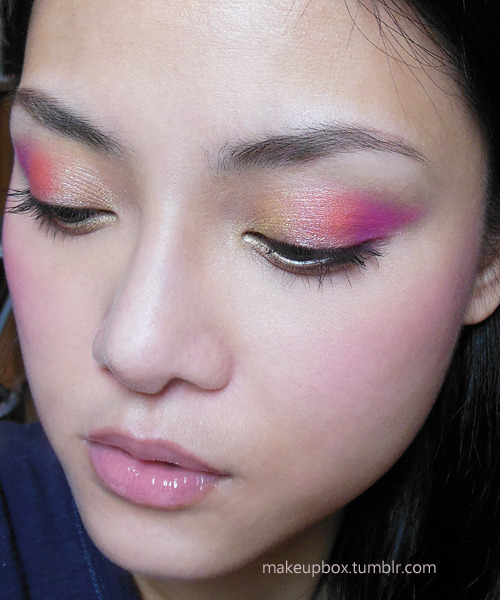 Step 3: At the outer corners, apply the pink and gently pull it out and up in a very slight wing. Make sure to blend it slightly into the coral so there are no harsh lines. Step 4: Finish by applying a pale matte yellow pencil (I used NYX Yellow pencil) to the lower waterline, and then a charcoal grey to the outer half of the lower lashes, for a little definition. I used a strong bright pink on the cheeks from La Femme called "Pink", and MAC Plushglass in Ample Pink on the lips just to rein in the look a little. Sorry I missed your message! 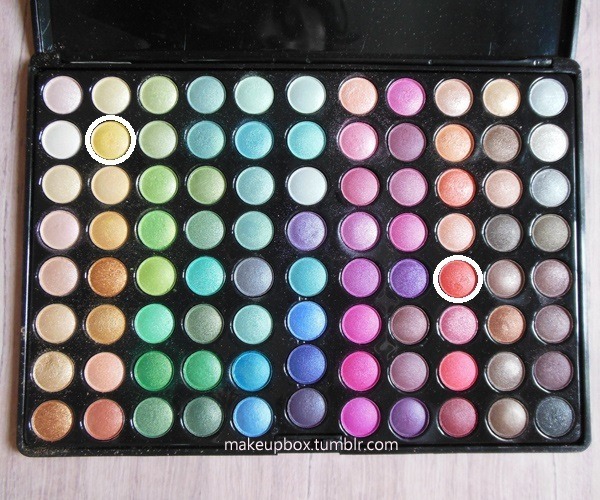 This is the 88 Shimmer palette from coastalscents.com.